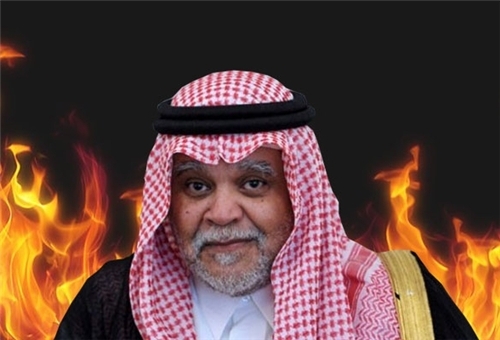 JNN 04 June 2014 Riyadh : A Lebanese media report says Saudi Arabia’s former spymaster Prince Bandar bin Sultan bin Abdulaziz has been poisoned. Some Lebanese media outlets quoting Saudi sources as saying that the prince was injected with an unknown kind of poison. Prince was slipped into a coma and rushed for treatment to Morocco and the United States, the report added. Medical doctors say various methods of treatment have failed to restore him to health over the past few months, it noted. In April, Saudi King Abdullah bin Abdulaziz Al Saud issued a decree to remove prince Bandar from his post, “upon on his request” and replaced him with lieutenant general staff Yousef bin Ali Al-Idrisi who was the deputy chief of general intelligence. The Saudi prince is known to have had close ties with former US President George W. Bush, and was an advocate of the US-led invasion of Iraq in 2003. Bandar is also widely believed to be the key figure trying to increase Saudi weapons flow to the foreign-backed militants in Syria. However, Washington had demanded the removal of Prince Bandar from the Syrian file because of his mismanagement of the situation in the country, which has been grappling with a foreign-backed crisis since March 2011. Several media reports confirmed that Bandar had been pushed aside. Some unnamed Saudi security officials have recently said the prince would retake his position as intelligence chief and be in charge of dealing with Syria. This entry was posted in Middle East and tagged Prince Bandar Bin Sultan Bin Abdul Aziz, Saudi Intellilgence Chief, Syrian War, Terrorism. Bookmark the permalink. bandar more likely suffered from alcoholic poisoning! this son of satan will rot in hell for he has innocent Syrians blood on his hands! POISONS ARE ALSO INEFFECTIVE ADULTRATED THESE DAYS OTHERWISE SOME GOOD NEWS MIGHT HAVE APPEARED , ANY WAY HE IS NO MORE ACTIVE .